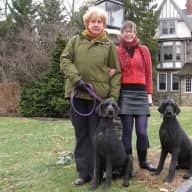 Experienced housesitting couple to look after your home & pets. Trustworthy, non-smokers, pet-lovers. "They did a fantastic job looking after our 2 dogs and cat, as well as watering our garden and keeping the house in tip top order. I cannot recommend them both highly enough and would have them back in a heartbeat if they were ever back in New Zealand." Stephen & Karen, Auckland, New Zealand. 2016. 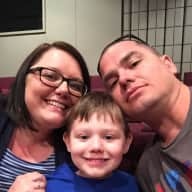 Hello, we're Danila and Chris, both English, and have been travelling since we sold and left our 20 year home in San Jose, California in November 2013. As well as working on volunteer projects, we also house-sit in local communities. (Check out our blog Notdunroamin for more details!) We enjoy making a life, if only briefly, in the places we stay, and part of that is the temporary addition of pets back into our lives. 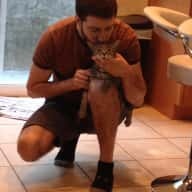 We've looked after both dogs and cats in California, New Zealand and Australia, and are location-independent. We enjoy city life, and the outdoors too. We're looking forward to meeting interesting people and seeing interesting places. We really enjoy becoming a part of the local community in the places we visit, and love having pets in our lives. For us, this is one of the best parts of travelling. We have been responsible homeowners for a combined total of over 70 years! We are non-smokers. We have owned homes separately and together in both England and California. Chris is a competent DIY-er and Danila has always enjoyed gardening. We understand the importance of maintaining your home - possibly your biggest asset. Your pets are your family, and giving you peace of mind while you're away is important to us. We enjoy their company and can provide the necessary love, care and attention. Chris had dogs, cats and reptiles in his youth, and together we brought our 12-yr old cat from UK to US, where she enjoyed her last 5 years. We've had many enjoyable experiences house and pet-sitting, including taking care of two elderly cats in California, one of whom needed liquid medication every evening - I'm glad to say that Miles didn't mind too much! 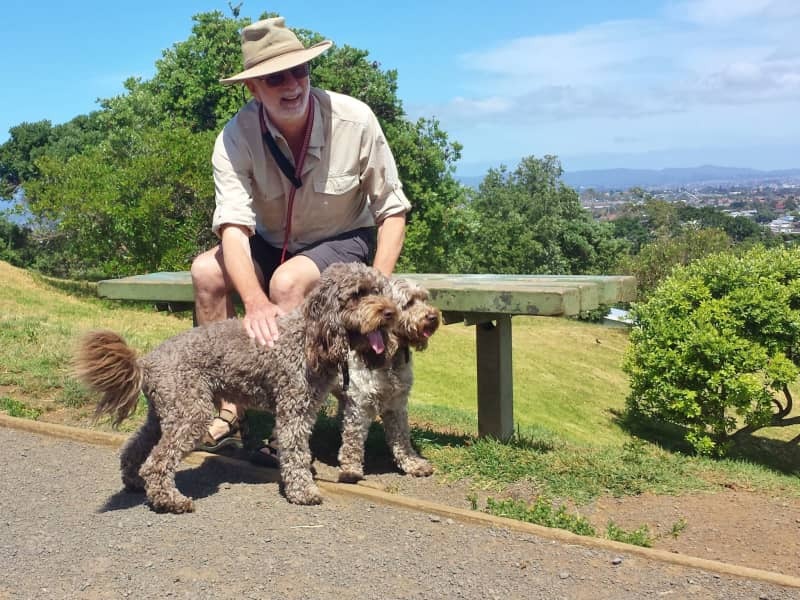 We were also adopted by two delightful Spoodles in Auckland, New Zealand. 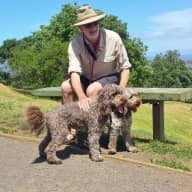 While travelling in Australia during 2016, we enjoyed two periods of housesitting, with a lovely dog and cat in Cairns, and two delightful dogs in Brisbane. We became naturalized US citizens in 2003, and as a part of that process the US government & FBI conducted general and criminal background checks. We also have an independent background check, and have now received Trusted Housesitters' highest level of Enhanced Verification, which includes a criminal records check. We welcomed Danila and Chris as our housesitters over the summer 2018. What a fantastic sitters experience this has been. Communication was excellent and we had no hesitation to leave our home and it’s tasks to them. They took good care of the house as it were their own and the garden received the water it needed during a dry spell. We also enjoyed their company at the start of the assignment and when we returned for the handover. They enjoyed living in our home and met with many people from all over the world and in the process made new friends. We thank Danila and Chris and highly recommend them. Danila and Chris housesat for us for a month over Christmas in 2016 and looked after our two cockerspaniel x cavalier dogs. We wouldn't hesitate to recommend them to anyone looking for trusted, friendly caring people to look after their house and pets. They made sure they contacted us beforehand to get all the details they needed about the house and the dogs and they kept in regular contact with us throughout our stay away- letting us know all about the dogs and what they had been up to. On our return the house was spotless, with clean sheets on the bed, and the dogs were happy and had clearly enjoyed their time being spoilt by Chris and Danila! Our dogs bark quite a lot and are not good on their leads, they don't like being alone and can generally be a bit annoying but this didn't seem to phase a Chris and Danila at all. Chris even took us to the airport and picked us up on our return. We couldn't of asked for a better couple and I would have them back anytime. Thanks so much Danila and Chris, safe travels and hopefully our paths will cross again one day! We went overseas for 7 weeks & were so lucky to have Chris & Danila take care of everything for us. We got regular email updates on our little cat & dog to keep us informed of how their doing as well as any house issues - of which there were none. It gave us such a huge peace of mind to know that everything was taken care of & we needn't worry about a thing - to the point that we could have quite comfortably stayed away longer and known that everything was in good hands. Chris is a real Mr Fix-it & even fixed up some of our "fan" issues around the house as well. The house was beautifully clean & our crazy garden was well & truly looked after. We got to spend about 3 nights with them before we left just to introduce them to our pets & give them a general house overview as we were away for such a long period of time etc & they were both such good fun company. We were sad to see them go. I truly hope they would consider house-sitting for us again in the future and would definitely recommend them! Danila and Chris stayed in our home over Christmas and New Year 2015/2016. They did a fantastic job looking after our 2 dogs and cat, as well as watering our garden and keeping the house in tip top order. I cannot recommend them both highly enough and would have them back in a heartbeat if they were ever back in New Zealand. Danila and Chris Mansfield stayed at my apartment here at my home in Punta Gorda, Belize for a month earlier this year. 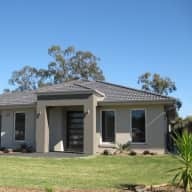 I found them to be absolutely caring and respectful guests and they were meticulous in the attention they paid to doing the right thing and ensuring that the premises were well looked after. I certainly would welcome them back any time. I have known Chris and Danila for 15 years, and I have been to the home they owned in San Jose for several social events. 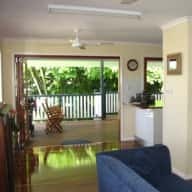 Danilla maintains a meticulous home, very orderly, both are non-smokers, they respect property and they are very responsible and professional. Chris and Danila were recommended to us by friends in Austin.They house sat for us in our second home in Cape Town for 2 months.They took very good care of our house and garden.Chris even took it upon himself to paint some peeling fasiar boards! Danila took beautiful photos of the house which helped with holiday lets.I would highly recommend this lovely couple to take extra care of your home.They go the extra mile. I have known Danila and Chris for the past 12 years. They are an extremely immaculate couple and would treat your home as theirs. I recommend them without any hesitation. Please call me at 408-406-4693 if you have any questions.